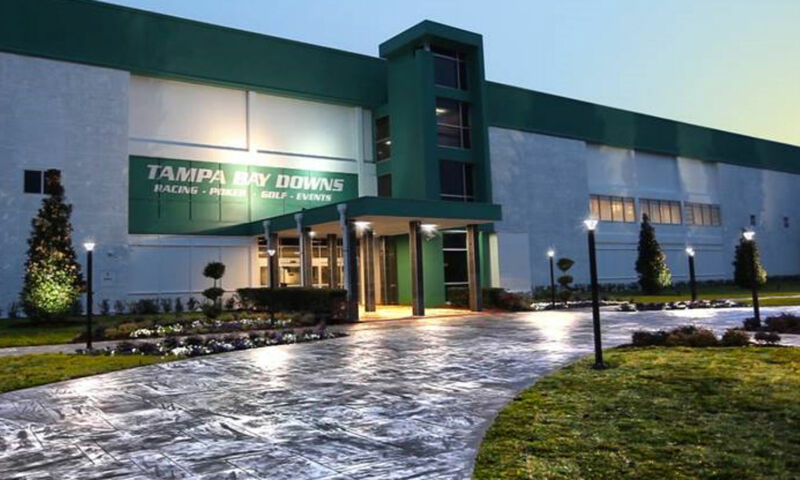 The Tampa Bay Downs first opened it’s doors in 1926 under the name The Tampa Downs. Since then, it has become massively popular and has gained history over the years. It started off as the only thoroughbred race track on the west coast of Florida and has since prospered into one of the best in the country. It has gone through countless renovations and additions to create the unique and exciting atmosphere that it holds today. Not only is The Tampa Bay Downs a thoroughbred horse racing track, it’s home to a card room called The Silk’s Poker Room. It opened in December, 2003, and has since been a hit. The Poker room is a great destination for any card fanatic. They can play their favorite card games while they watch live sporting events from across the country. They are served food and drink with a great view of the finish line of the track from every seat. The Silk’s Poker Room is one of the best on the west coast of Florida when it comes to live entertainment. When it comes to food nobody should be unimpressed. There is a dining room called Sky up on the third floor that serves great food and has a view of the track. In addition to that a deli is located on the first floor named The Metro Deli. They serve delicious ham, turkey, roast beef and many other sandwiches with plenty of toppings to choose. Not interested in either of those? They have a stand that serves chicken tenders, burgers, fries, and many other items that will satisfy any food cravings you might experience. Grandstands are placed around the track that serve hot dogs, pretzels, nachos and a variety of beverages up until the last race ends. Now if you want to get yourself a nice drink, you came to the right place. Aside from the stands and dining areas that serve alcohol, they have 2 bars located on the first and second floor. One of the bars was just recently built a couple of years ago. They named it Riders Up and it has blown up ever since it opened. As soon as the track opens, people flock to the bar as if they were pigeons. It’s a great place to sit and enjoy a drink while having a nice view of the races. The bar owns every liquor you could imagine and everything needed to make your favorite drink. They have most of the popular beers people drink and if they don’t, I’m sure they can supply your second favorite. The other bar is called Legends and is successful. People mostly go to hang out with their friends and relax while making a few bets as they watch the races from the television. Legends can be considered more of a home-style bar. Both bars are unique in their own way and have amazing bartenders that’ll keep you entertained for hours. One of the best things The Tampa Bay Downs has to offer is the energy during a race. As soon as they play the music to signal the race is starting, you can see the change in energy. One second everything is normal, then it gets quiet. You can sense the anticipation. Then the announcer says “And they’re off!” with a drastic tone. You can hear the sound of thousands of people cheering and screaming and the rush of the energy running through the air. After the horses cross the finish line you see people with big smiles on their faces and others silently cursing to themselves because they lost their bet. These are reasons why The Tampa Bay Downs is perfect to have a good time gambling and hanging with friends. 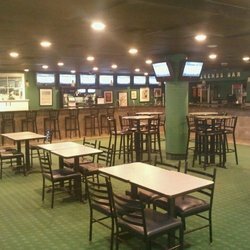 If you’re ever looking to make a couple bets, play cards, and enjoy a drink while you’re at it, The Downs is the place for you! Images are property of Tampa Bay Downs.